I am always looking for Arduino modules with small form factors, the first Arduino I ever got was not the classic chunky board , it was a Mini Arduino Pro. I proceeded to attach that to a quadcopter with some success in the era before pre-built ardupilots. Lately I have been playing with the Seeed Xadow form factor modules. They are designed for a smart watch projects. My aim is to build a camera hot-shoe capable of injecting GPS into the exif as well as logging the orientation of the camera in Omega-Phi-Kappa co-ordinates. Something similar to the Solmeta unit or the much more affordable Navspark SUP800F, but with accelerometer-gyro-magnetometer combined to work better on more dynamic platforms i.e. a Helicopter circling a point and experiencing centrifugal force which can throw the accelerometer based gravity calculations off. The Xadow system has pre-built modules for most things including a 9-DoF IMU with the MPU-9150 on-board, low power OLED module for display and a GPS. These components can be used to build a complete AHRS + GPS system with one thing missing - large data storage. 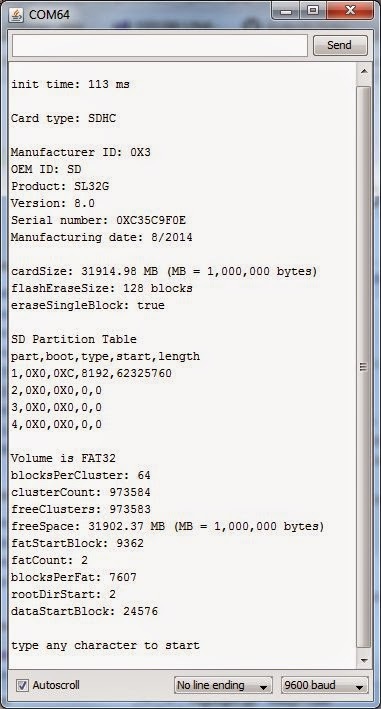 The pre-existing Xadow - Storage module offer only 64K of storage in EEPROM, an opportunity to make something new. SD card shields are easily available in the standard arduino ecosystem, but none exists for the FFC cable based Xadow form factor. So I took an SD shield design and shrunk it down to the Xadow size. It is now available on the Seeed Wiki as Xadow - SD component. 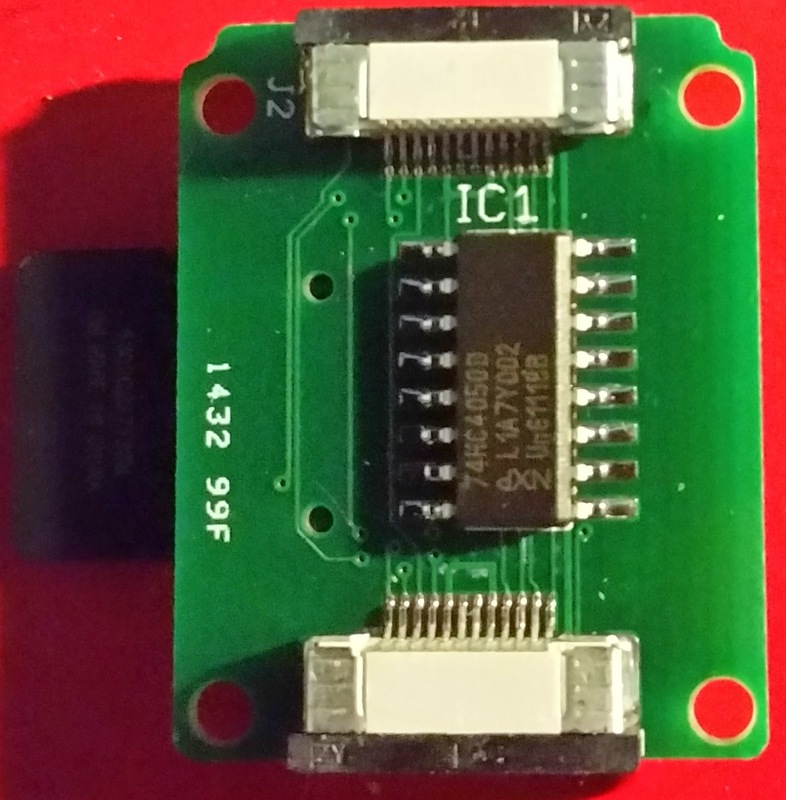 The next revision has bread-boardable breakout pins on the side for use as an SD card reader with any other system. So the Xadow watch can now have 32GB of storage. With the Cortex-M0 based Xadow main board and colour display anyone can now make a poor-mans version of the iWatch. 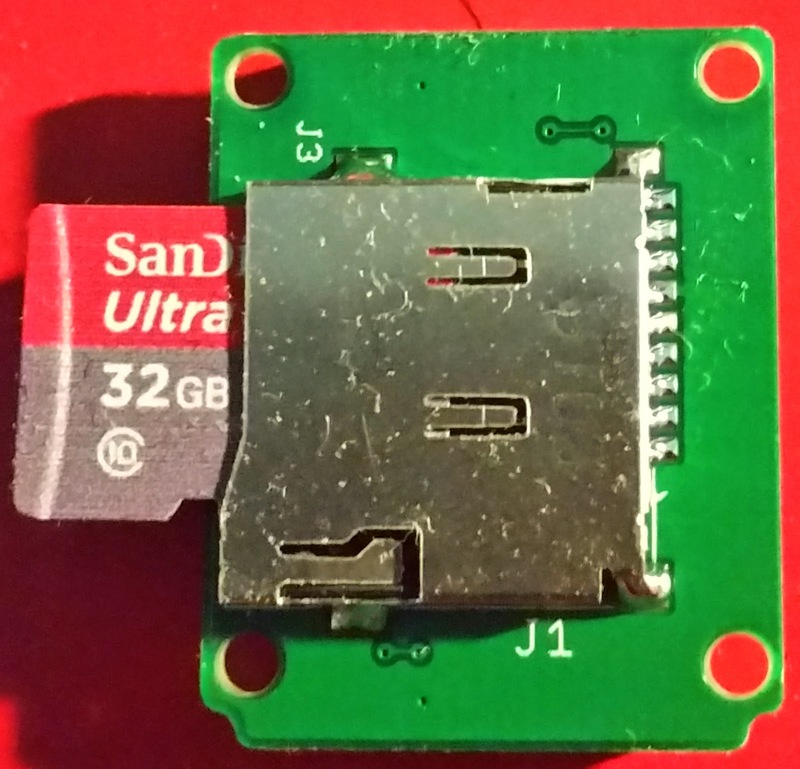 If you are interested in the Xadow system, grab the SD card module design here and give it a try. I also have some blank PCB's I can give away to anyone who wants to practice some SMD soldering.